Thomas Goltz teaches courses on the Middle East and the Caucasus region at Montana State University. He is also the author of the “Caucasus Triptych” of Azerbaijan Diary, Chechnya Diary and Georgia Diary, as well as other books and articles. Chechnya Diary, published by St. Martin’s Press, is available on Kindle. 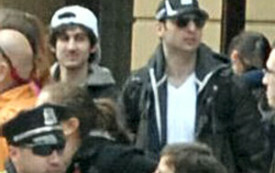 Is There a Chechen Connection to the Boston Bombings? It appears the Tsarnaev brothers were self-motivated. But their Salafist extremism was itself one outgrowth of the brutal Chechen wars of independence against Russia.